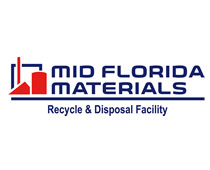 Celebrate Earth Day 2015 | Recycle Florida Today, Inc.
watch This year is Pasco County’s 20th year celebrating Earth Day! Pasco Parks & Recreation, Covanta Pasco, Pasco Cooperative Extension, and Pasco County Recycling present Earth Day 2015 this Saturday,April 25th from 9 till 3 at Crews Lake Park located off of Shady Hills Road, just south of the Sun Coast Parkway. This is a free event that’s fun for the whole family. There will be children’s crafts, and educational displays. You can visit the interactive Water Ventures Learning Lab, release lady bugs, have confidential documents shredded by Shred 360. You can take part in the Rain Water Harvesting workshop at 10 or the Composting Workshop at 1, but please – pre-registration is required. There’s electronics recycling, mercury collection, and household hazardous waste collection on site. Meet Spike, the 10-foot alligator from Croc Encounters or shop the native plant. For more information view the flyer here: buy book reports online Pasco County Earth Day 2015. RFT will be visiting the Villages Environmental Club for their sixth annual Earth Day Celebration! Join us at Lake Sumter Landing Square in The Villages, FL on Wednesday, April 22, 3:00PM to 6:00PM, under the tents by the fountain. There will be information about our environment, including renewable energy sources, climate change, water usage/conservation/pollution, organic gardening, GMO’s, and recycling. Joining us are The Florida Native Plant Society. Master Gardeners, Sumter County Extention Services, Sumter County Humane Society, and Waste Management. There will be plants and organic vegetables for sale along with Master Gardeners to answer your questions, tent talks about butterfly gardening and invasive plants, and acoustic music from John Paulsen and Friends. see url Don’t forget get to check your local area for any Earth Day activities that may be going on that you can participate in and celebrate Earth Day 2015! http://belltower.mtaloy.edu/campus/do-my-homework-for-money/7/ source url https://www.perichoresis.org/arginine-ornithine-viagra-247/ Recycle Florida Today, Inc.
Do you have an award-winning Program? Submit for a R.F.T.E.S. award.